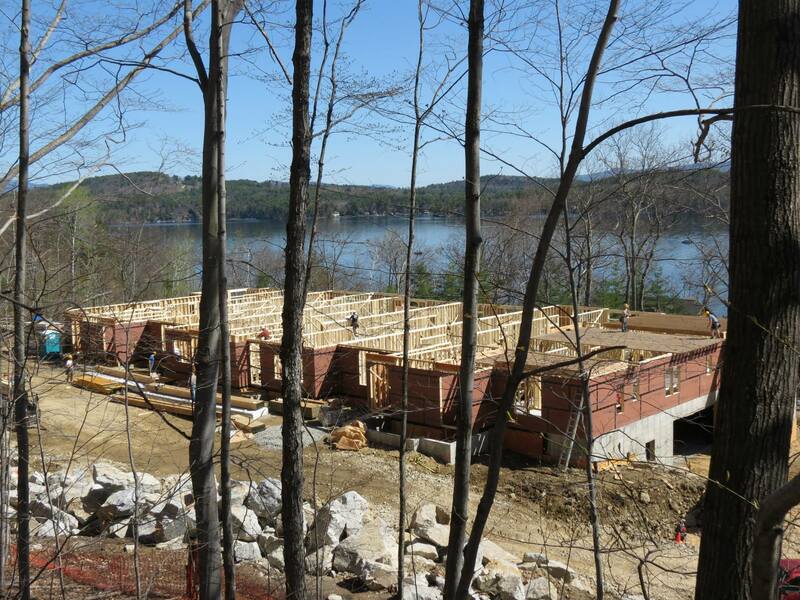 Meredith Bay community has some of the best views of Lake Winnipesaukee in the region and their new development "The Lodges" is busily taking shape in their first phase of construction. 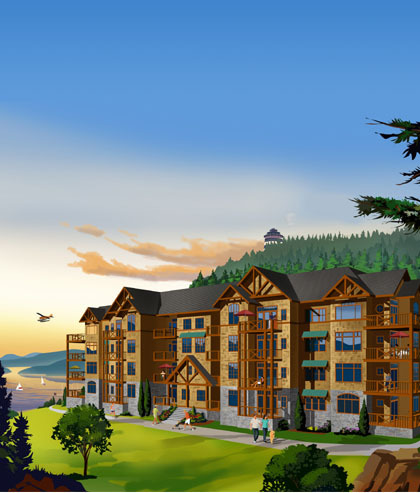 The first 24-unit Adirondack-style building, Bluegill Lodge, is situated on an idyllic hillside overlooking Lake Winnipesaukee and New Hampshire's Ossipee Mountains. The 1,400 - 2,000 square-feet, single-floor condominiums will offer a rich list of features, including lakeview decks, underground parking, and elevator access directly into your unit. The yacht club and docks will be just down the road as well. These units will be at a much lower price point then Meredith Bay's previous town house style units but still have very similar views of Lake Winnipesaukee. Situated only 10 mins from downtown Meredith "The Lodges" will conveniently located for shopping and local restaurants. 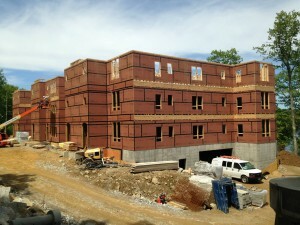 Tours of the units will start on June 28th at which time non-binding reservations can be taken. If you are interested in taking a look at any of the units or the project as a whole please contact Brian Neidhardt at 603-738-3798. 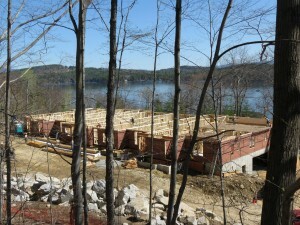 To see additional Lake Winnipesaukee real estate please visit www.nhlakesproperty.com . To sign up for new listing alerts click here!